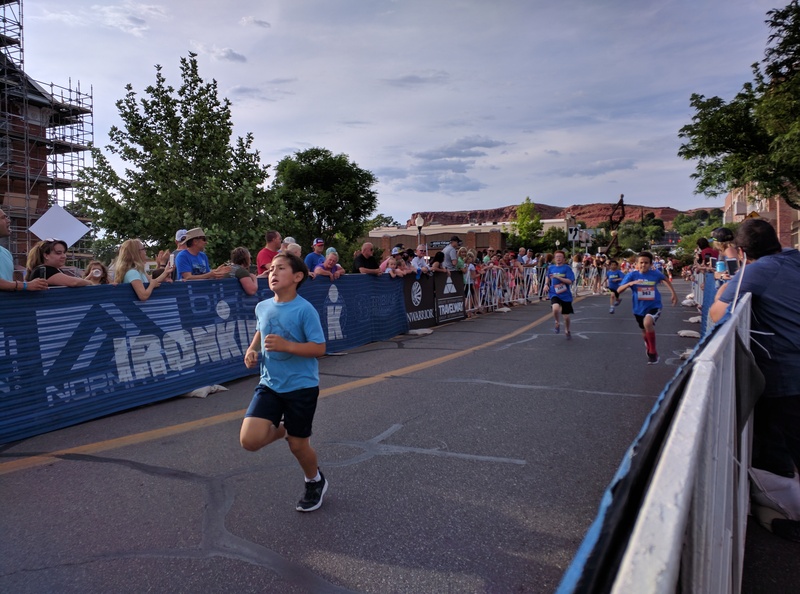 ST. GEORGE — Everyone who crossed the finish line was awarded a gold medal in the “Ironkids Fun Run,” a race promoting the prevention of child abuse in downtown St. George Friday evening. 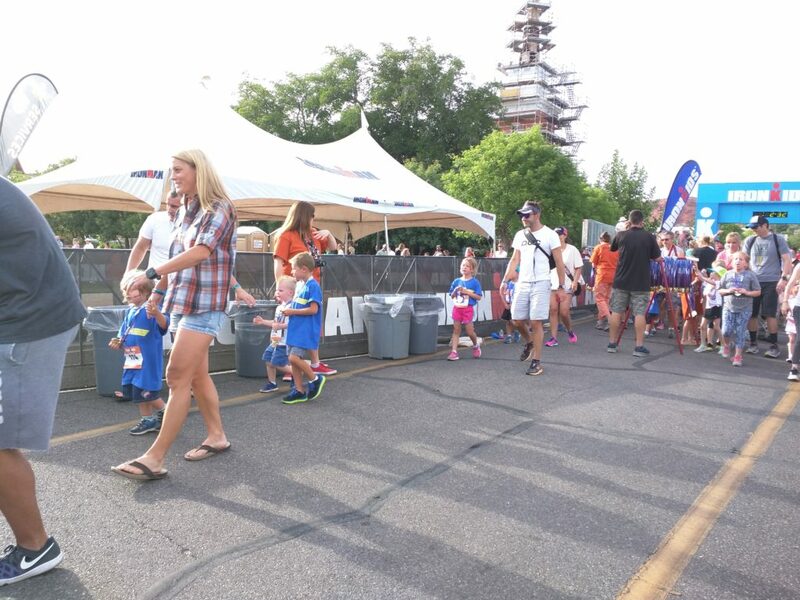 The Fun Run, which served as an opportunity for kids ages 3 to 13 to participate in the athleticism of the weekend’s Ironman competition, is sponsored by the St. George Exchange Club. 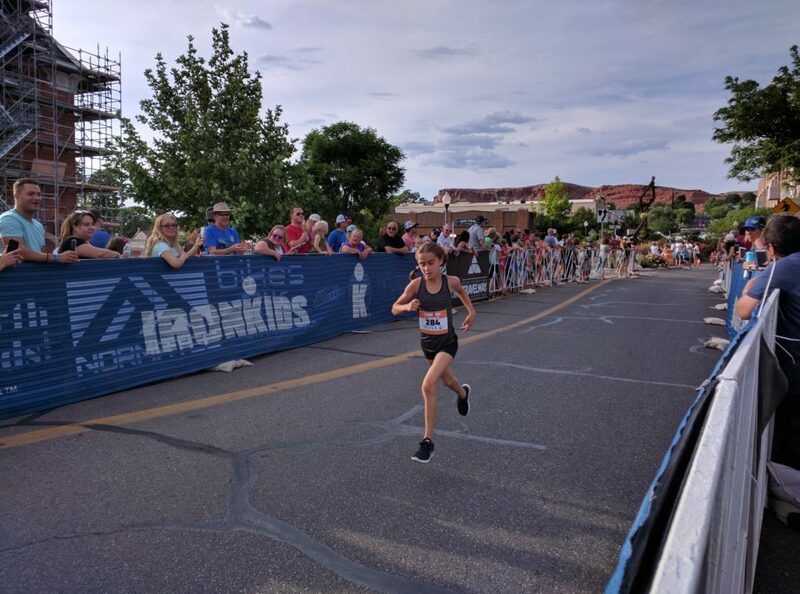 The event included approximately 450 entrants who ran in a choice of half mile or mile foot races. 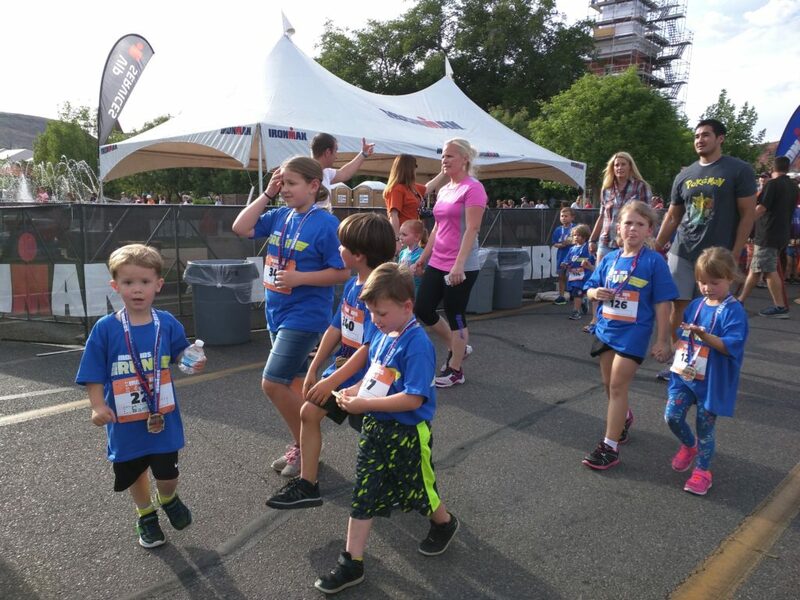 Whether zooming through at breakneck speeds or keeping a steady pace, kids appeared to give the race their best shot and were greeted at the finish line by encouraging volunteer staff, adoring parents and cold water. “The Fun Run is, from our perspective as the Exchange Club, an opportunity for us to promote and advocate for the prevention of child abuse. That’s really one of our primary missions,” James McFadden, Fun Run captain and previous president of the Exchange Club, said. Each child’s $15 entrance fee will go in part to support the club’s efforts. Last year, money from the club’s fundraisers was put toward the Thunder Junction All Abilities Park, a unique public play area designed to be inclusive of children with disabilities. “Through the club’s efforts, we were able to contribute almost $120,000 to the All Abilities Park,” McFadden said. The Exchange club is active in the community year-round, putting on such programs as the Southern Utah Preforming Arts Festival and the “Give Me Liberty” program at area schools. 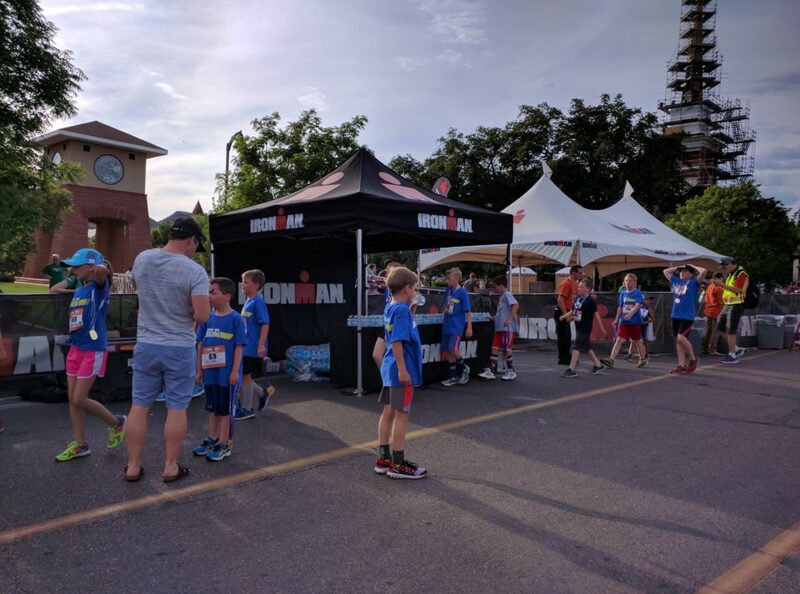 The Ironkids competition falls on the eve of the St. George Ironman 70.3 triathlon, a series of long distance swim, bicycle and foot races at locations throughout Washington County.